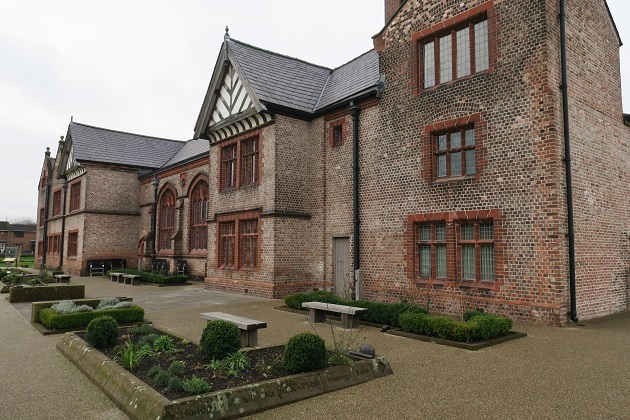 Ordsall Hall is a bit of a gem. Right in the middle of a housing estate, it is an unlikely location for a Grade 1 listed Tudor manor house that dates back to 1177. However it harks back to a time when there was nothing but countryside in this urban sprawl and is a lovely place to visit. A long time since our last trip we ended up coming here three times in the space of almost as many weeks for a mix of poetry, opera and music. Our first visit was a dull, damp and wintery Sunday – plenty of those recently. 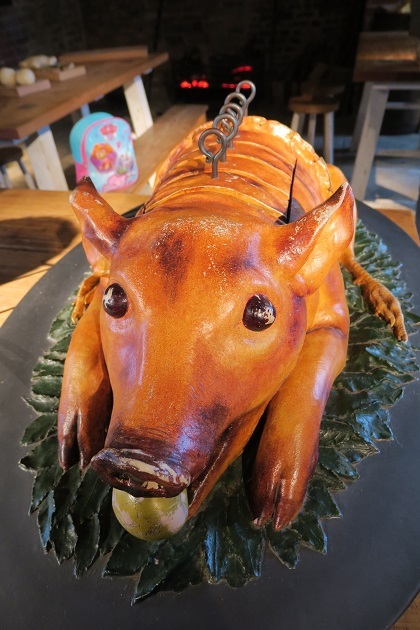 It was towards the end of January and I read they were having special readings and poetry for Burns Night, not just targeted at children apparently but also suitable for adults and free – we were up for that. 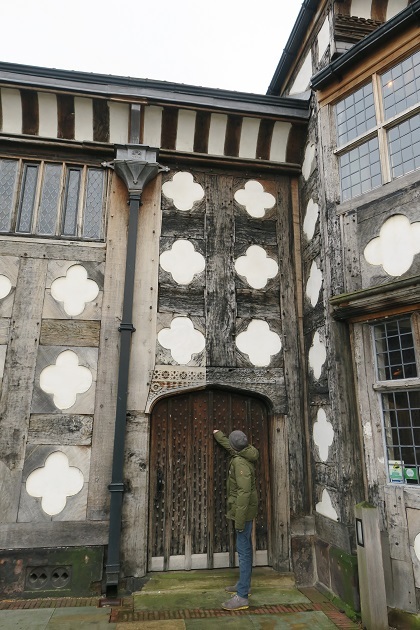 The house is beautiful, it has been home to all sorts of interesting characters down the years including Tudor nobility, Catholics loyal to the crown, mill workers and (rumour has it) several ghosts. It had been in a bad state of disrepair until major restoration and redevelopment work which finished in 2011 – now it looks completely splendid again. 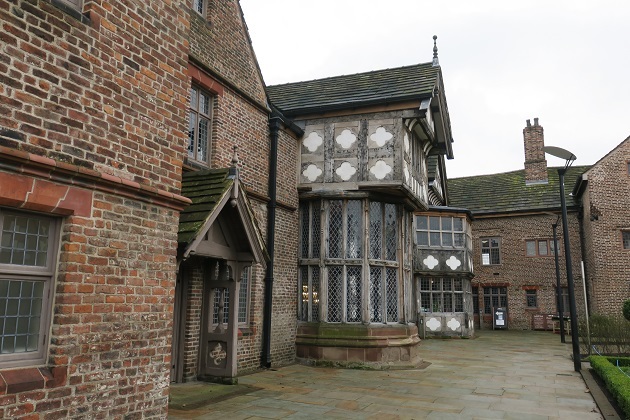 A local legend states that Ordsall Hall was where Guy Fawkes hatched his plot to overthrow King James. No idea if there is any truth in this but the street right beside the hall is named after that famous traitor. 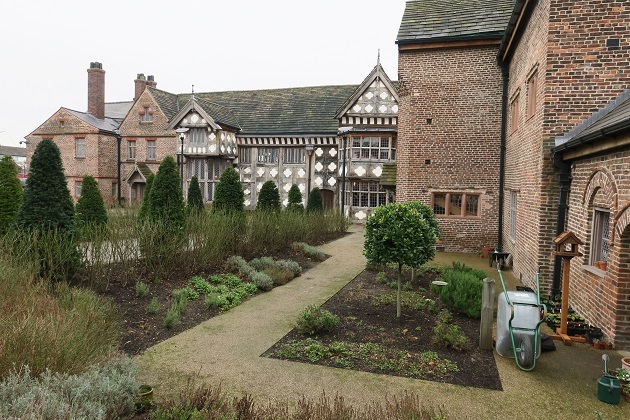 We didn’t spend too long in the gardens but they are gorgeous, particularly the Tudor style knot garden. There is no longer a moat but its original location is outlined and some wooden swans set it off to perfection. 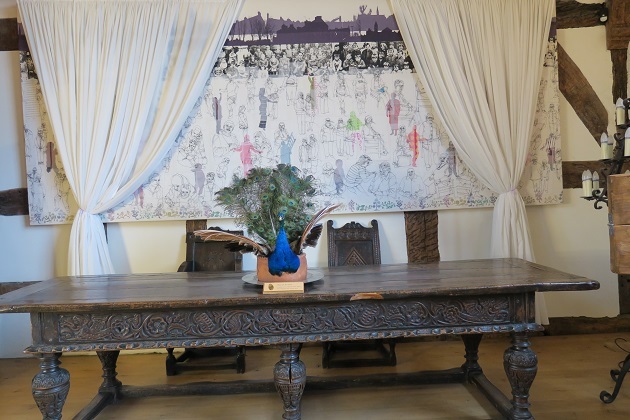 We headed first to the poetry and story session, although supposedly aimed at adults and children it seemed very much for the little ones but we stayed a while and Son did enjoy it – any story of any type and he is hooked. We spent the rest of the afternoon exploring the building. 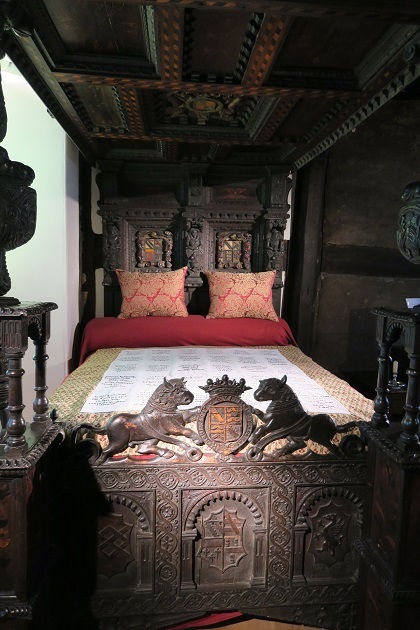 The Great Hall is very impressive and the Medieval Star Bedroom, the oldest part of the hall has the Radclyffe bed, made in the 1570’s with ornate carvings and decoration, this is the only piece of furniture on display that is original to the hall. 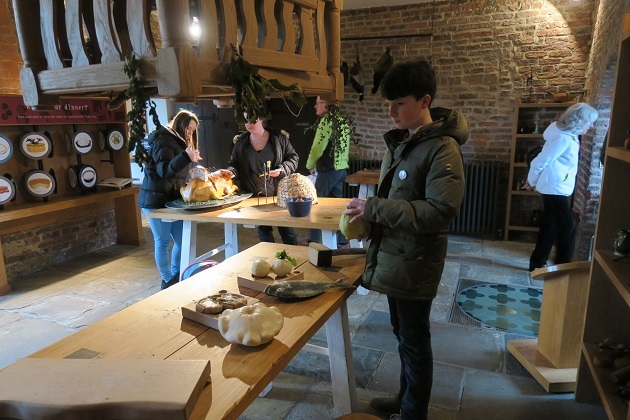 The kitchens are Son’s favourite area, everything is “hands-on” and great for children. 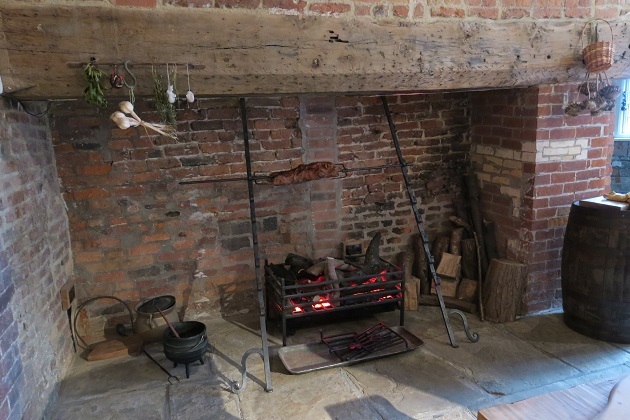 They can “cook” over the open fire and handle various Tudor cooking implements and ingredients. Husband and I managed to sneak back again one lunchtime for a rather fun half hour condensed performance of Hansel and Gretel by Opera North. It took place in the Great Hall, four wonderful singers gave it their all and we agreed it was a great opera taster. 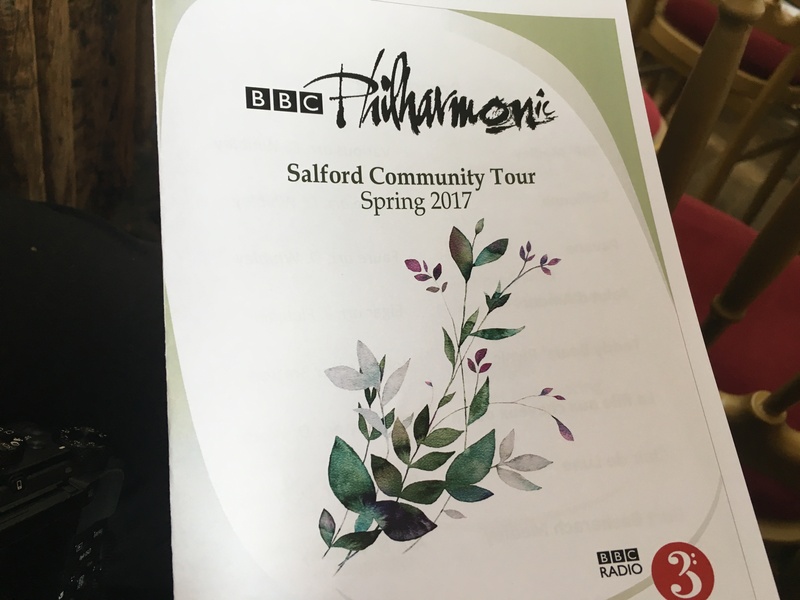 A week later and another lunch break and we were back, this time for a most wonderful hour with fourteen members of the BBC Philharmonic Orchestra – a delight indeed we both thoroughly enjoyed this. 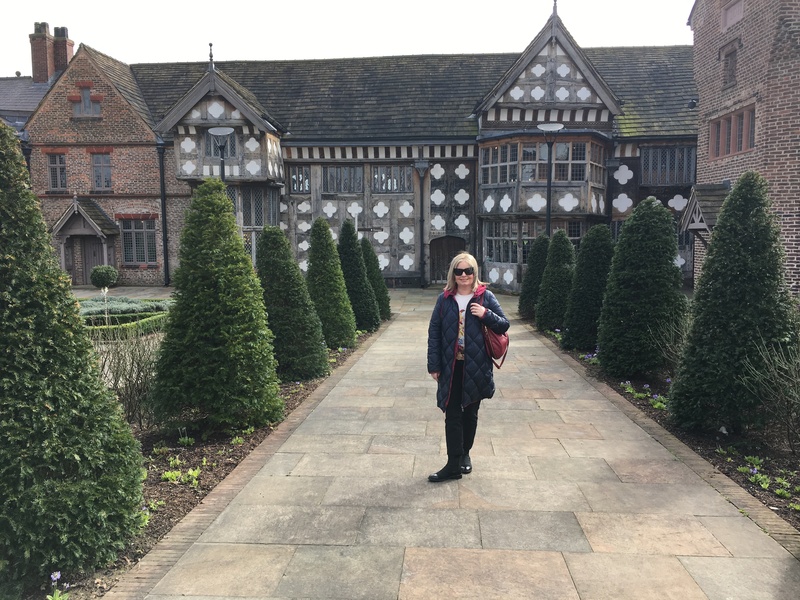 Thumbs up all round to Ordsall Hall for not only being a great place to visit and explore but for staging these superb lunchtime events, a great way to break up the working day. What a great setting to hear live music, somewhere that was no doubt built with regular performances in mind – it’s nice that connections like that continue. It was perfect, we’ve been to the hall several times but never for a concert like this. I’ll be keeping a look out for this type of thing again. What a lovely place to visit and so nice that lunch time concerts are held there regularly. I’ll have to try and fit in a visit sometime! It’s an interesting building and very beautiful but if you can time a visit with a concert or performance like this it makes it even more special. Joy, a beautiful Tudor building and what a nice way to spend lunch, being entertained! Thanks for the visit! It was a wonderful lunchtime treat Pam – I hope we can do it again sometime! The building looks wonderfully well-preserved and very interesting to go poking about in. What a wonderful setting for viewing performances too. They’ve done a great job in restoring a place that was virtually derelict just a few years ago. The lunchtime concerts are wonderful – we’re lucky to live close enough to be able to do this. Not so sure I’d want to be exploring in the dark Rosemary with the chance of bumping into one of those ghosts!! 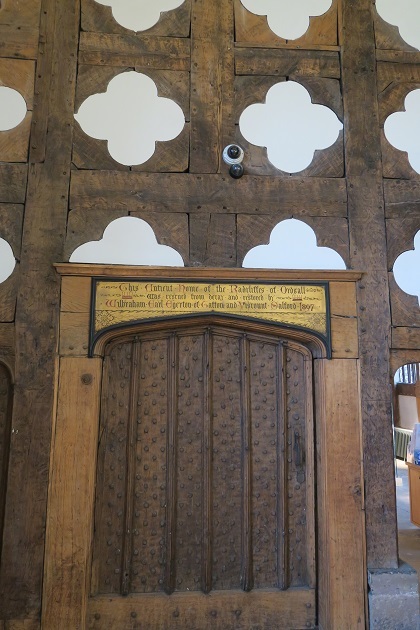 I love the Tudor period too, one of my favourite times in history and they’ve done a great restoration job here. The concerts are wonderful, sometimes free or just a few pounds – a great and affordable way to do something very special. You re so lucky to have a place like this, with those great performances, nearby! We were saying just that leaving after that concert last week. It was such a lovely lunchtime treat. It is the most beautiful building, they’ve done an incredible restoration job here. Guy Fawkes must have got around a bit, I have been several places that make the same claim! Absolutely!! Still, nice to go with the local legend…. How nice to be able to see the Philharmonic there – it does look like a gem of a building. I would go there multiple times too! The concert was just wonderful Corey, the building is gorgeous you could never tire of it! What a super place, and a perfect setting for those events! The building looks really familiar though, did they mention if it had been used as a TV or film location in the past? It may have been used for filming – the BBC and ITV are close by so it is possible. What a lovely place! I’m crazy about history and this seems right up my alley! What a treat that they offer these cultural events during lunchtime, and that they offer something for all ages! It really is a wonderful place and in the middle of an urban area too which makes it unique I think. Will be keeping an eye out for more of those concerts too!! 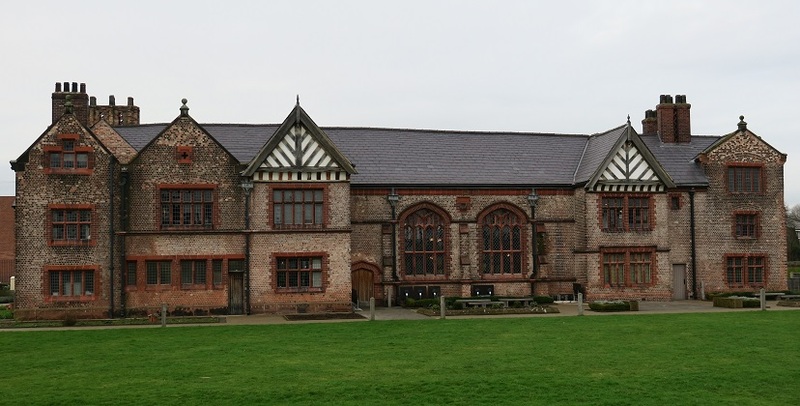 It’s a gorgeous building with a great history – we loved it. What a wonderful venue and it’s impressive that you make the effort to go to their lunchtime concerts. 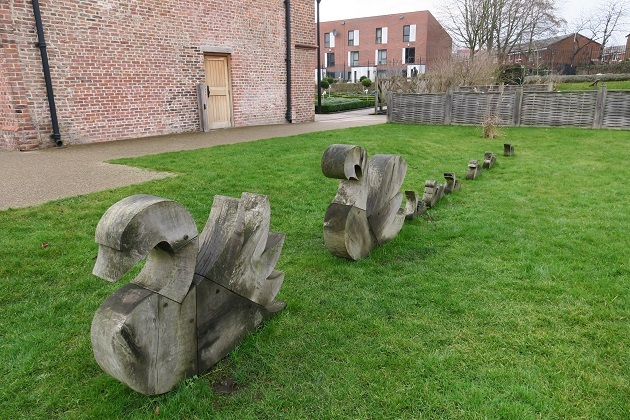 I particularly liked the wooden swans! The concert was a real treat – I hope we can do that again sometime. It is a superb venue for something like that and a great place to just explore too.